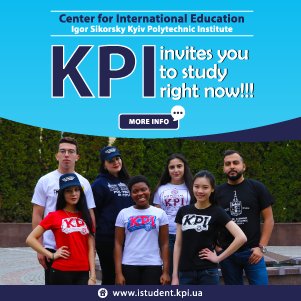 Admission to the bachelor | Department of Geo-Engineering NTUU "Igor Sikorsky Kyiv Polytechnic Institute"
Specialization "Geotechnical and Urban Underground Construction" is one of the most promising in modern industrial and civil engineering. It allows you to become a specialist in construction business, as well as a specialist in the field of underground space development. In the process of learning, you acquire knowledge in the organization, construction and design of undergrounds, underground shopping centers, parking lots, transits, mines and urban underground structures of special purpose, will become specialists in computer design of underground space. In connection with the constant increase of volumes of urban underground construction, especially in Kyiv, the demand for specialists specializing in "Geotechnical and Urban Underground Construction" is constantly increasing. Graduates of the department successfully work on engineering positions at construction sites of various underground structures and employees in scientific-design organizations of Kyiv and other cities. Specialization "Development of mineral deposits" provides an opportunity to acquire knowledge on mining management, technology for the development of minerals in open and underground ways. You will master thoroughly the methods of management and design, modern technologies and processes of extraction and processing of decorative stone. Full higher education in the specialty allows graduates to work in leading positions in mining companies and other profiles. In addition, specialists in the specialty have the opportunity to work in design, research and specialized organizations (institutions for labor safety, emergency management, etc.) throughout the territory of Ukraine, including Kiev. The development of industry in Ukraine stimulates the continuous increase in the volume of minerals production. Restoration of the work of enterprises for the extraction and processing of decorative stone, their design and further reconstruction is impossible without the involvement of high-level specialists. In connection with this, there is an increasing need for specialists in the specialty "Mining". OJSC "Kyivmetrobud", Concern "Kyivpidzemshlyakhstroy", OJSC "Kyivproekt", "Inzhkproproekt", "Ukrmetrotunnelproekt", DP "Kievinzhproekt", Research Institute of Building Structures, Research Institute of Construction, OJSC Malinsky Stone-making Plant, Joint-Stock Company ²Ginnitsyprovodny and stone processing plant "Bilichi" ², Institute of Hydromechanics of the National Academy of Sciences of Ukraine, Institute of Mechanics named after. SP Tymoshenko of the National Academy of Sciences of Ukraine, PJSC ²Chinery "Granit" ², Korchuvutsky building materials plant. Training is carried out on budget and contract forms.